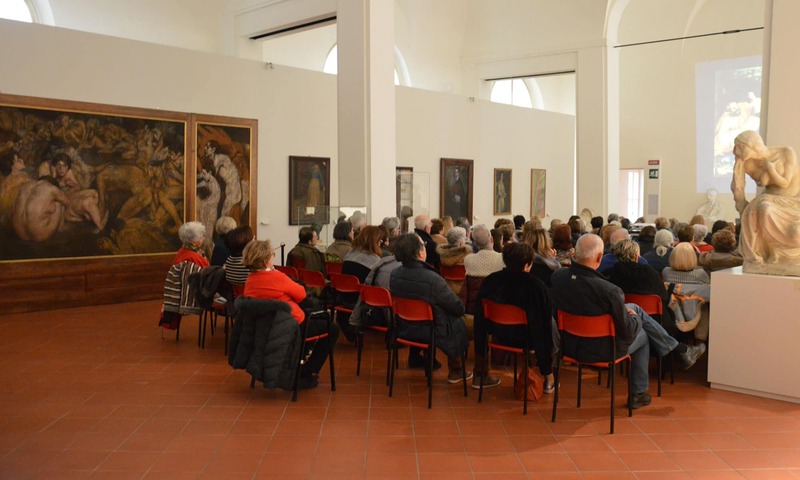 In 1908 Ercole Drei participated in the First Biennial Exhibition of arts in Romagna, held as part of the Torricelli exhibition for the sixth centennial anniversary of the birth of Faenza’s Evangelista Torricelli, with eight works. These were the years when the young sculptor was still applying the realistic naturalism lessons learnt the nineteenth-century school at the Municipal School of Drawing directed by Antonio Berti and continued on to the Fine Arts Academy in Florence. But it was precisely during those years that Drei also opened up to new suggestions, beginning with symbolism absorbed in Baccarini’s cenacle in Faenza and the influences of Art Nouveau and Liberty that were spreading even in Italy during the first years of the twentieth century. The self-portrait in marble, elaborated in deliberate contrast between the material left raw and the central cropping up of the masterfully defined face, is a work open to these new ideas. The work, as Franco Bertoni wrote for the show held in 1986, is inspired «by symbolist models in the allusive dichotomy between the mass of inert and formless material of the block and the emerging of the almost iconic face from it».